As we reach the end of the year, we want to thank all of our supporters for helping us to connect youth with nature. Our newsletters offer an ongoing voice from Ron and the young people he works with, sharing the lessons they learn through our trips and ongoing relationships. 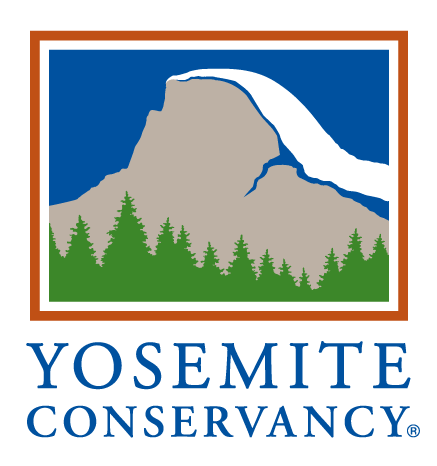 These voices offer a powerful testament for the value of their experiences in Yosemite. Over the next couple of weeks, we also want to take the time to share reflections from some of our Board members about what Sacred Rok means to them. Please keep an eye out for these stories. This fall, I was on my annual solo backpacking trip in the Sierras. Avoiding the smoke from the Rim Fire in Yosemite, I went to Kings Canyon National Park, exploring the Cloud Canyon area between Colby Pass and Avalanche Pass. There is a moraine that rises about 2,000 feet along the side of the river, which I am sure was created by the glacier that flowed down that canyon. I recognized that these mountains were created over 10 million years ago, and that at least four glacial advances have carved and left their stories on the rock. The moraine represented the cumulative stories of the rocks and boulders that rode down the glaciers following the law of gravity. My trail cut a switchback up this moraine, and as I was relating to these thoughts and surroundings, I recognized that with each step I took, I was walking through time – the time it took for that glacial accumulation to be made. How many human generations are represented even in each small step that I took? Quite humbling, and as I got to the top, standing in the soft light filtered by the pine trees and looking around this documentation of time and forces of nature, I connected to a sense of my place in the universe. In these newsletters, we have been sharing Sacred Rok’s philosophy of the lessons learned from participating in the ceremonies of nature. We want to encourage you to share any experiences you may have had personally. This year for the first time we created a calendar using Ron’s photos. We will be sending the calendar to our supporters, and will have a limited number of calendars left. Please email us at SacredRok@SacredRok.org if you would like a calendar. We have also posted our Annual Report on the website, and have a limited number of hard copy reports. Please let us know if you would like one. We look forward to your continued support. As you know, we depend on your donations. We set up a Year End Giving Campaign for those who would like to make a tax-deductible contribution before the end of the year. Wishing a joyous holiday season to you and your family and friends, and a peaceful and healthy 2014. In late January we released our new book, “Letters from Sacred Rok” and in mid-February we started off our book tour by giving a presentation at the Stanford Alpine Club. On February 21st we were given the opportunity to have a book release event at Heyday Books with founder Malcolm Margolin. Being at Heyday was more than just an honor, it was a validation; when we support each other and show respect it promotes healing and confidence. Malcolm’s introduction of Sacred Rok and myself was an example of that. In his way of respecting the education I received in nature through rock climbing gave me something I know we all want to give our kids – the power to respect yourself and your uniqueness, your gift to be. Thank you Malcolm and all the people for the great night. The following weekend Sacred Rok hosted youth from the Merced Boys and Girls Club on our first trip of the year. Many of the youth are returning from last year and some are new comers. It is so nice to see some of the young people from the last year and how they grow. This privilege to be with youth is amazing – it’s an opportunity to have fun visits, share stories and laugh. We help to bring out the best in each other. So far we have had three trips with them this season, the most recent of which were some of the youngest yet – ages 7 to 12! These little beings shed the light even more about how precious this life really is. A few days after our first trip with Boys and Girls Club we stepped back on the trail with Mr.Garcia and our Probation crew. It felt like we never left, our connection is strong in many ways. These relationships are based on Respect, recognizing as we enter the natural world we are equal as human beings, this is what I like to call “Higher Education.” Getting back to the basics we keep it real and real simple – for this profound reality – listening to the water and wind, smelling the trees. We learn that wisdom is everywhere in everything. We have made a new friend from Merced, Kelly Turner. She works with young girls in the Merced area through an organization she created called Symple Equazion; she brought up three teenagers a couple of weeks ago. We found ourselves under waterfalls and rainbows, our feet in the ice cold river, looking for Eagles and meandering along. That was a great first day and we look forward to seeing them again. March 23rd was our book signing presentation at the Merced Arts and Cultural Center on Main Street. At this gathering all of our board members shared their thoughts and feelings about why they are involved, setting me up for our power point which goes through my life – starting as a teenager and on into our book. After, we had a Q&A, this brought us into the realization of how this group of fifty people are creating a circle of like-minded Human Beings wanting the best for our young people – here and everywhere in the world. As always we thank you for your support in working together making our world a better place for all our relations. Click here for a tax deductible donation through PayPal. Part of my job at Sacred Rok is to provide everyone with the best food I can conjure. This not only means good taste, it also means good for you. A lot of thought and time go into thinking of recipes, adapting recipes to fit with our mission of better health through nutrition, and what ingedrients will be the most beneficial. We have a lot of picnics with our youth and this is actually a tricky type of meal to be prepared for. I want to provide something warm, something heathy and something everyone will enjoy. Sure hotdogs are easy but hot dogs are no more than a mouthful of toxins. A personal favorite that is not only savory but also highly healthy are cabbage rolls. in a large bowl mix the meat (uncooked), rice (uncooked), chopped onion, chopped garlic, and spice. wash cabbage and pull off the leaves. many times the center vein is very hard and makes rolling the leaf difficult – I cut these leaves in half – removing the vein- so that rolling is better. you want the leaves to be very pliable. place anywhere from one to two full tablespoons of meat and rice mix in the center of your leaf and roll up- like an egg roll. place the rolls side by side in pot – layering up to one inch from the top of pot. cover and steam on low heat until rice is cooked. We are asking for a suggested $20 donation (minimum) plus $5 for shipping and handling – please send a check or money order to PO Box 148 – Yosemite, CA 95389 if you would like a copy or click the donate link above. We are asking for a suggested $20 donation (minimum) plus $5 for shipping and handling – please send a check or money order to PO Box 148 – Yosemite, CA 95389if you would like a copy or click the link below. We are pleased to announce the publication of 107 page book, Letters from Sacred Rok. The book is based on Ron’s newsletters and photos that have appeared on our website, and envisions how we share the story of nature. In the preface, founding board member Kenji Hakuta recounts his conversation with Ron, from which Sacred Rok originated. At the parking lot of the Tioga Pass Resort, he asked Ron what he was working on, expecting an answer about a new climbing project. “I’m working on my breathing,” Ron said. Sacred Rok is based on this kind of simple ceremony that connects youth to Yosemite. Letters from Sacred Rok comes from Ron’s intimate connection with nature. It represents what Yosemite has meant to him over the past 40 years as a climber, and now what he hopes to communicate through Sacred Rok. As Ron writes in the book, “Sacred Rok has become a climb of a lifetime.” The book interweaves new photos taken by Ron of Yosemite and the Sacred Rok youth, with more classic pictures from his history as a climber. This is truly a stunning and beautiful book which we would like to share with all of our supporters. We are asking for a suggested $20 donation (minimum) plus $5 for shipping and handling – please contact us if you would like a copy. On behalf of the Sacred Rok Board of Directors, we would like to wish you all a happy new year, filled with the joys of nature as we continue to work together. As our book announcement shares, 2013 is off to a good start. Letters from Sacred Rok will be having book release events in Merced and in the Bay Area in the next few months, so please keep an eye out for announcements. Our Annual Report has also been released and is on our website. We are proud of our accomplishments and look forward to the paths that will lead us in 2013!